A guide to properly sorting your waste and avoiding the most frequent — and environmentally harmful — mistakes. Courtesy of Waste Management Workers at the Davis Street Recycling Center in San Leandro. Courtesy of Waste Management Put shredded paper in the compost bin, not the recycling. In 2013, residents and businesses in Alameda County dumped as much as $70 million worth of recyclable and compostable items into the garbage. That's according to StopWaste, the county agency charged with promoting recycling and waste reduction. 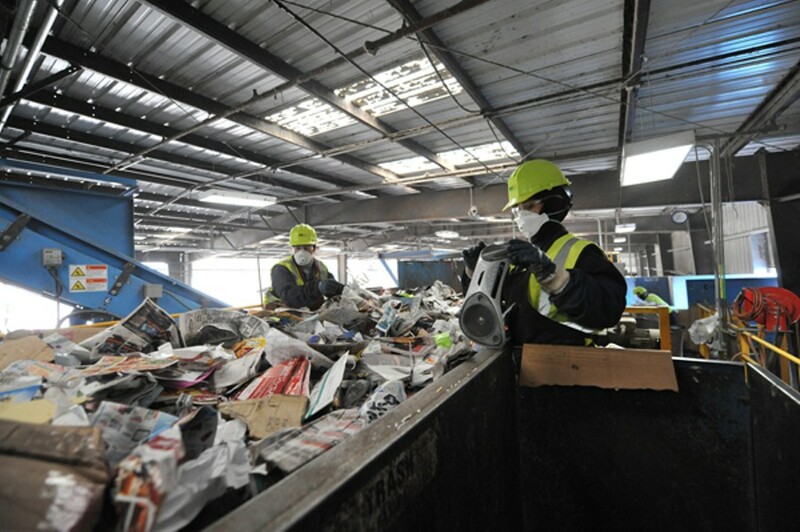 On average, based on the agency's countywide trash audits last year, 32 percent of the material in residential garbage cans could have been recycled or composted; that was an improvement from 60 percent in 2008, but still far from StopWaste's target of 10 percent by 2020. 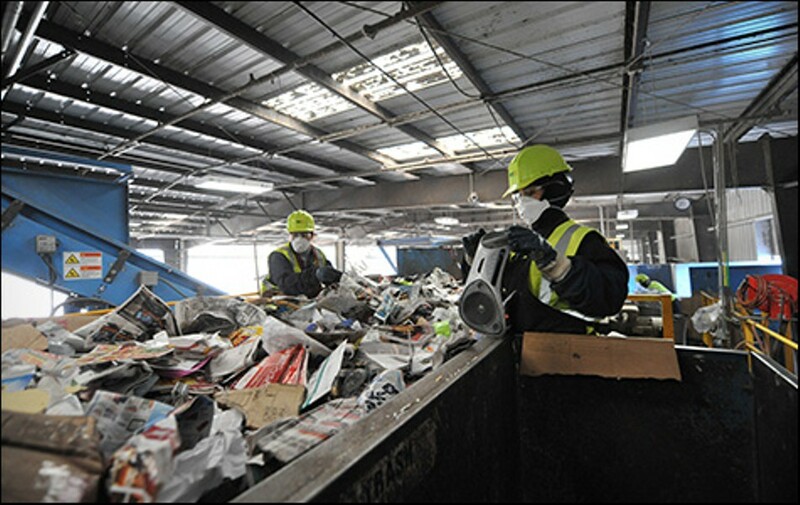 "Being conscious about how you sort your waste makes it so that products end up in the right place," said Rebecca Parnes, recycling program coordinator at Waste Management, the private company that handles trash pickup for Oakland, Hayward, Emeryville, and other local cities. "It isn't an extreme lifestyle choice and it's an easy way to engage in environmentally appropriate behavior." We asked local waste experts about the most frequent mistakes residents make when trying to get rid of stuff — and which materials you may be surprised to know can have a second life. The greatest potential for waste reduction may lie in food products, and not just spoiled leftovers or scraps from cooking. Different cities have their own residential food-scrap recycling programs that keep food products — produce, bread, dairy, meat, fish, coffee grounds, tea bags, and more — out of the landfill, typically through weekly pickups. But people often don't realize that they should also compost food-soiled paper, meaning paper towels, plates, and napkins; according to a recent StopWaste survey of a few hundred Alameda County residents, nearly 60 percent didn't know this. Parnes recommends that residents line their kitchen compost pails with recycled newspapers so that the whole thing can be dumped into the compost bin, which, in many East Bay cities, is typically the green yard-trimmings container. In the recent StopWaste survey of Alameda County residents, even more people were confused about pizza boxes — around 73 percent of respondents were unable to identify the proper way to dispose of them. The correct answer, it turns out, is the compost bin. Contrary to popular belief, greasy pizza boxes do not belong in the recycling. Cooking oil is one of the most common sources of confusion for residents, according to Parnes. Most people know that cooking oil should not go down the drain — but they don't know where it should go. For small amounts, Parnes recommends that people put the oil into an empty egg carton, which can then go into the compost; alternatively, low quantities can also be drizzled directly into the bin. Large amounts — from deep-frying, for example — should not go into the compost and instead should be disposed of at one of six East Bay Municipal Utility District drop-off sites (bit.ly/CookingOilEBMUD). (Oil from commercial kitchens is not allowed.) One especially sustainable option is the biodiesel station BioFuel Oasis (1441 Ashby Avenue, Berkeley, BioFuelOasis.com). Residents can also take their cooking oil to one of four county Household Hazardous Waste facilities (800-606-6606), including one in Oakland (2100 East 7th Street). Dumping batteries into the recycling or trash bin is not the answer, but the solution is almost as simple. In many cities in Alameda County, residents can actually put their batteries in sealed clear plastic bags and set them on top of their garbage cans for weekly pickup. Berkeley, however, does not offer this curbside option. Instead, residents can drop off their batteries at the local Household Hazardous Waste facilities. A number of hardware stores — including Berkeley Ace Hardware (2145 University Avenue) — will also accept batteries. To get rid of plastic bags and avoid polluting the waste stream, the best option is to return them (as long as they are clean and dry) to the grocery store. You don't have to return them to the store where they originated. Waste Management officials don't often get questions about wire hangers, but they can cause the company a lot of problems, Parnes said. If residents place them in the recycling bins, they can easily wrap around Waste Management machinery and cause damage. Instead, she recommends that residents donate wire hangers to dry-cleaning businesses, which typically accept them for reuse. 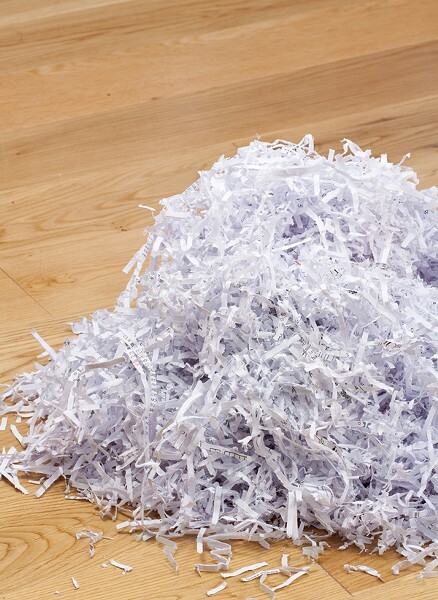 Correctly disposing of shredded paper is a win-win for you and the environment. Rebecca Jewell, Waste Management recycling program manager, said that shredded paper should be disposed of in the green compost bin. This can help reduce flies and odors in the bin in addition to providing an extra layer of security for sensitive documents, as scavengers generally do not go through compost bins. And because shredding results in the splitting of fibers, the paper can no longer be recycled, anyway. If residents are concerned about putting non-shredded documents that contain private information into the recycling, Jewell said they should instead use them to wrap their compost and dump them into the green bin. Instead of polluting waterways by flushing prescription drugs down the toilet, residents should place unwanted or expired pills in Ziploc bags and drop them off at one of roughly thirty sites in the East Bay that accept them (bit.ly/DrugDropOffs). Prescription controlled substances — meaning drugs that have a high potential for being abused, including codeine, narcotic pain medications, sleeping pills, antidepressants, and behavioral drugs — must go to the Alameda County Sherriff's Eden Township Substation (15001 Foothill Boulevard, San Leandro), which has a self-service drop box in the lobby. Polystyrene has to be densified in order for long-distance transportation to be cost-effective, according to Jewell. So if you're trying to get rid of foam peanuts, the best option is to take them to a packaging store for reuse. If they can't be reused, they should go in the garbage. Broken fluorescent lights can release mercury vapor into the environment and contaminate the air and waterways. Don't throw them in the trash. Instead, bring them to the Household Hazardous Waste facilities in Alameda County. People regularly assume that animal and human feces belong in the compost bin, according to StopWaste and Waste Management. They do not. Throw kitty litter, dog waste, and diapers into the trash. If you're getting rid of old books, it's best to donate them. But if for some reason you can't find a new home for your hardcover books, do not put them in the recycling, because the glue used in book binding lowers the quality of the recycled paper fiber. Unfortunately, they must go in the trash. It is not unusual for officials with the Household Hazardous Waste facilities to get calls about mysterious chemicals, said program manager Bill Pollock. These inquiries often come from residents who discover an old chemical, for example, their grandfather, left behind, he said. In these instances, the materials may not even be safe for the hazardous waste facilities, and in the worst-case scenarios can require the county to call in the "bomb squad," he said. If there is any doubt, residents should call the hazardous waste hotline (800-606-6606). Pollock noted that technology is making chemical identification easier, as residents can now snap photos of the materials in question with their cellphones and email or text them to Household Hazardous Waste staff.